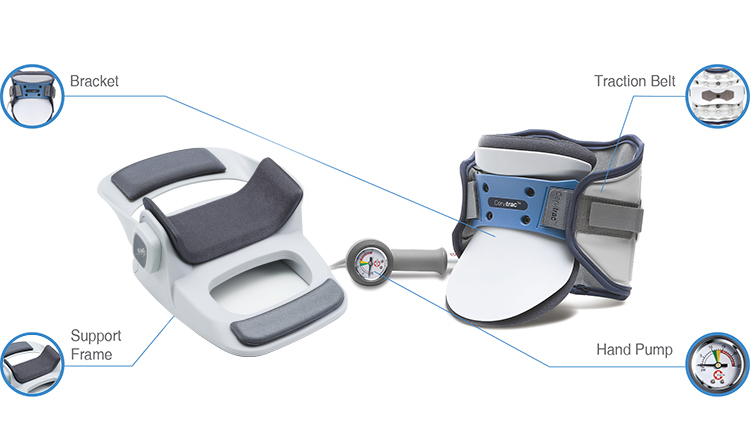 Cervical Traction Collar CS500 is a manually inflatable orthopaedic decompression device that consists of a powerful traction belt, bracket and support frame that provides total neck and head support, thereby making traction possible even when a patient is in a supine position. Changeui Medical’s exclusive VAP™ technology provides cervical traction for the treatment of herniated discs and spinal stenosis. 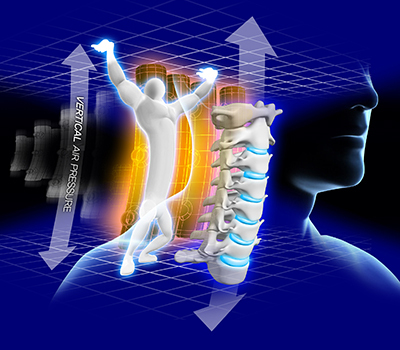 VAP™ is a unique technology developed by Changeui Medical to deliver air pressure in the vertical direction only, supporting the cervical vertebrae by effectively countering the force of gravity. By separating the cervical vertebrae, the pneumatic columns help restore normal cervical curvature and relieve pain caused by herniated discs and spinal stenosis. CS500 is designed to make traction possible even when a patient is in a supine position. In a sitting position, the neck muscles and ligaments surrounding the cervical vertebrae are tense, while in a supine position, they are relaxed, making traction more effective. The neck support is designed for the most comfortable traction, which uses durable materials in a horizontal direction in order to reduce the pressure around the neck during traction. It also uses smooth materials in a longitudinal direction in order to minimize irritation around the neck and chest. The creatively designed CS500 will ensure the most comfortable, precise and powerful traction experience. 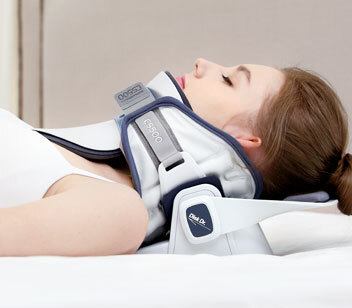 Disk Dr Neck CS500 provides comfortable traction in both sitting and supine positions as the belt and bracket (neck support) may be detached from the frame. The bracket is designed to decompress the cervical spine without causing discomfort in the neck and chest area. It accomplishes this by using a hard material to encircle the neck and minimize pressure on the cervical vertebrae and a soft inner lining that extends from the chin to the neck to prevent skin irritation around the patient’s chin and chest during traction therapy. 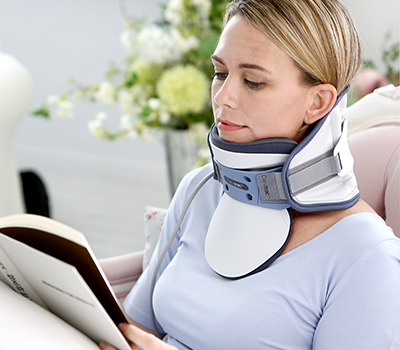 This innovative support frame developed by Changeui Medical provides secure yet comfortable neck support and traction. The traction belt utilizes Changeui Medical’s VAP™ technology to provide powerful traction via inflatable vertical columns, supporting the cervical vertebrae against the force of gravity. CS500 has been ergonomically designed to make traction possible in the supine position and provide secure and stable support for the head and neck muscles, in any position, through its easily detachable traction belt. The hand pump allows patients to inflate the device and adjust the air pressure while in traction. 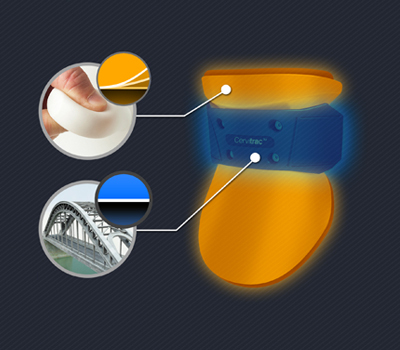 This product is a medical device. Please make sure to read the safety instructions and all warnings thoroughly before use.